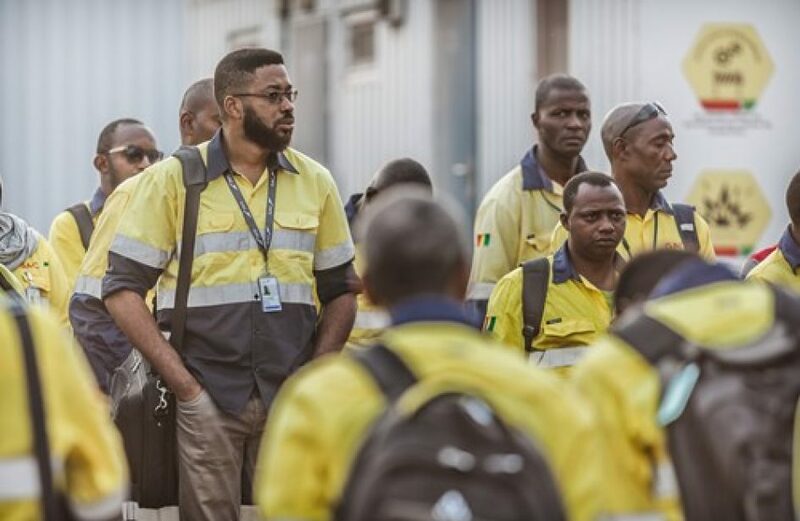 Emirates Global Aluminium PJSC’s (EGA) operations in Guinea reached 50 percent construction completion this week, with the firm announcing the same on Tuesday. Operating in-country under the auspices of Guinea Alumina Corporation, EGA is employing 4,000 Guineans to complete the US$1.4 billion project. The firm says first production is expected to commence early next year. EGA says that the greenfield project is planned to reach a production rate of 12 million metric tons per annum upon full ramp-up. The plant will employ around 1,000 individuals at that time. The plant operates upon GAC’s 266 square mile mining concession in the Boké region of northwestern Guinea. Bauxite will be extracted on site via the drill-and-blast method in open pits, with the pits being developed into plateaus as a part of ongoing remediation activities at the mining site. The bauxite ore will then be transported by dedicated rail lines, which are currently under construction, to Kamsar to a 3-mile conveyor belt and on to barges. As the port at Kamsar is too shallow for large ship traffic, the barges will then be towed to a floating transfer point, where the bauxite ore will be loaded onto ore carriers and shipped to UAE to fuel operations at the under-construction aluminium plant at Al Taweelah.